From 12:00-1:00 p.m. on Saturday, July 1, 2017, attendees at SABR 47 will have the opportunity to ask questions and talk with presenters of the poster presentations at the Grand Hyatt New York. The posters will be available for viewing all week during the convention. 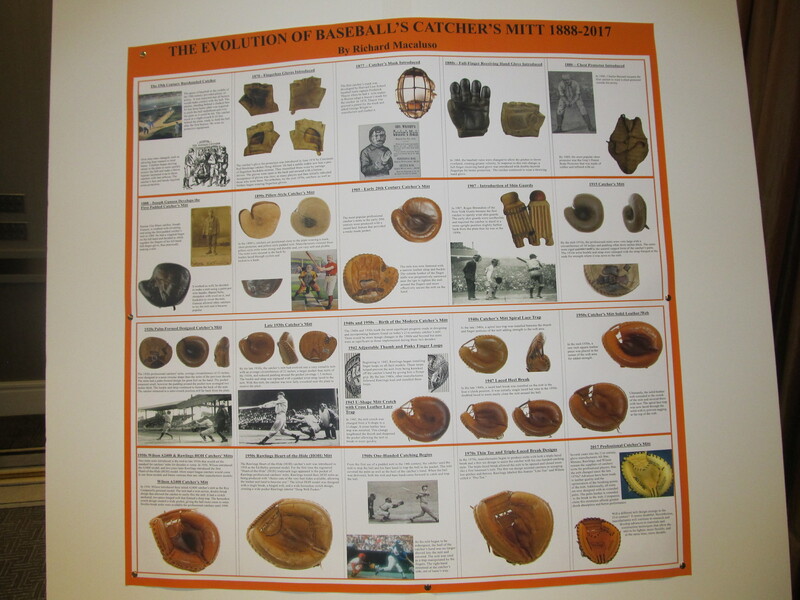 The top poster presentation, as selected by on-site judging, will win the SABR Convention Poster Presentation Award. Check out a list of past winners here. Full presentation abstracts and presenter bios are available below. 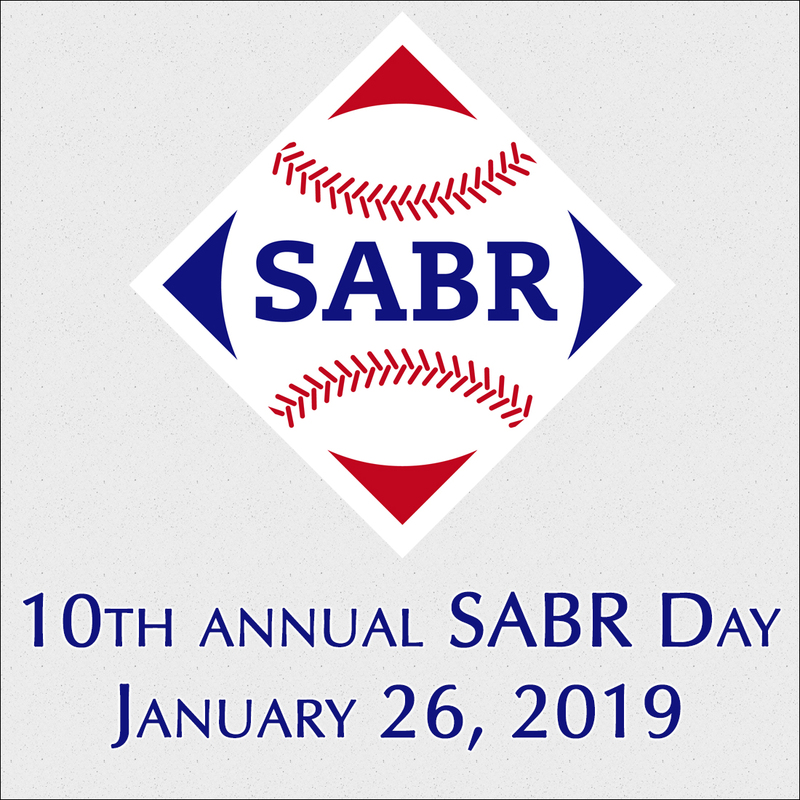 To view the list of SABR 47 oral research presentations, click here. For tips on designing and displaying your SABR poster presentation, click here. P01: Allie Reynolds and Joe Gordon: An Intersection of Two Careers! Following the 1946 season, the Yankees traded second baseman Joe Gordon to the Indians for pitcher Allie Reynolds. Gordon was an established star who had been named AL MVP in 1942, while Reynolds was a mid-rotation starter. Reynolds blossomed with the Yanks, contributing mightily to their 1949-1953 World Series run as one of their 3 mound aces. Gordon’s post-trade career was shorter, but he was a vital cog in the Tribe’s world championship in 1948. In addition to discussing and analyzing these linked careers, Krevisky and Hines describe the circumstances of the trade, including the role played in it by Joe DiMaggio. Steve Krevisky <skrevisky@mxcc.commnet.edu> is a Professor of Mathematics at Middlesex Community College, where he often uses baseball in his math classes. He is President of Connecticut Smoky Joe Wood Chapter and a frequent presenter at the national SABR convention. He was a member of teams that have 7 times won the SABR Trivia Contest. He has published articles in past issues of The National Pastime, the Baseball Research Journal, and The Woodpile, the newsletter of the CT SABR Smoky Joe Wood Chapter. He has also presented at regional SABR meetings. Elliot Hines <ehines1952@gmail.com> has been a frequent presenter at the Casey Stengel Chapter SABR meetings, and has administered the trivia contest there. He has co-presented with Steve Krevisky at the Boston and Philly national conventions. He also keeps a list of his top 100 players, which he updates periodically. Baseball has been played in New York at the highest levels for a long time. The sport we follow, after all, is based on the "New York game." More than 20 sites have hosted the big leagues in and around New York. The first was the Union Grounds in 1867. From there, the city saw the classic era of Ebbets Field and one of the incarnations of the Polo Grounds, then The House That Ruth Built, and now there are two new billion-dollar palaces along with a number of new retro minor-league parks in the metro area. Alan Cohen <adc0317@comcast.net> has been a SABR member since 2011, and serves as Vice President-Treasurer of the Connecticut Smoky Joe Wood Chapter. He has written more than 35 biographies for SABR's BioProject, and has contributed to several SABR books. He is expanding his research into the Hearst Sandlot Classic (1946-1965), an annual youth all-star game which launched the careers of 88 major-league players. He graduated from Franklin and Marshall College with a degree in history. He has four children and six grandchildren and resides in West Hartford, Connecticut, with his wife Frances, one cat and two dogs. We’ve all gotten excited by sets of baseball cards, and we’ve all laughed and/or cried and/or cheered during baseball movies. In this presentation, we’ll get to see the connection between those two portions of our baseball experience. Such pairing has been going on for a long time — at least since the 1920 feature Headin’ Home (starring one G.H. Ruth). More recently, well-known movies like The Natural and Bull Durham have employed cards in their promotional materials, and Topps has issued card sets featuring classic baseball films. Glassman shares the results of his research into the subject, offering information from anecdotes to cinema reviews. 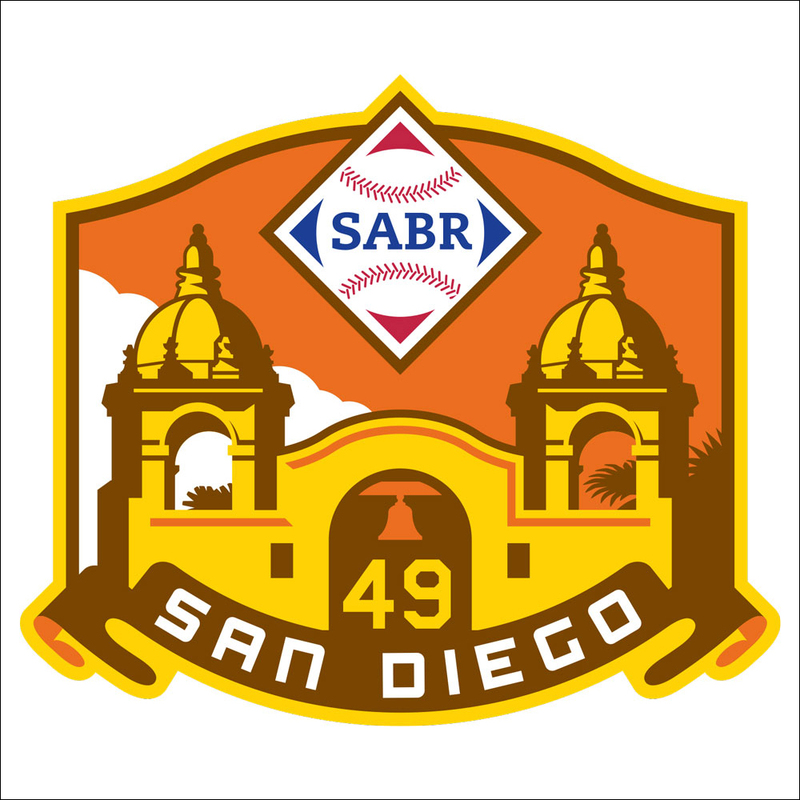 Steven Glassman <sportsphan@comcast.net> has been a SABR member since 1994 and regularly makes presentations for the Connie Mack/Philadelphia Chapter. This is his 12th convention. “From Celluloid to Cardboard — Baseball Cards and the Movies” will be his eighth convention poster presentation. The Temple University graduate in Sport and Recreation Management is currently the Manor College Volunteer Director of Sports Information in Jenkintown, Pennsylvania. Steven was also recently certified for Microsoft Office Word 2016. He has attended Phillies games since the 1970s. Steven serves as first base coach/scorekeeper for his summer league softball team. He currently resides in Warminster, Pennsylvania. Four stalwarts of the great Dodgers teams of the early 1950s have plaques in the Baseball Hall of Fame, as does one of their managers. Saccoman argues that another team member deserves to join Jackie, Campy, Pee Wee, Duke, and Smokey. Over his many years of eligibility for election to the HOF, Hodges accrued more votes from the baseball writers than any other player, elected or not. He had home run power and was widely considered to be a top-notch fielder at first base. And of course he managed the Amazin’ Mets of 1969. John Saccoman is convinced … can he persuade you that Gil Hodges should be a Hall of Famer? John T. Saccoman <saccomjt@shu.edu> is a Professor and Chair of Mathematics and Computer Science at Seton Hall University in New Jersey. An avid fan of the New York Mets, Willie Mays, and Gil Hodges, he has team-taught one of the earliest known sabermetrics courses (1988) there with its founder, Rev. Gabe Costa, PhD. 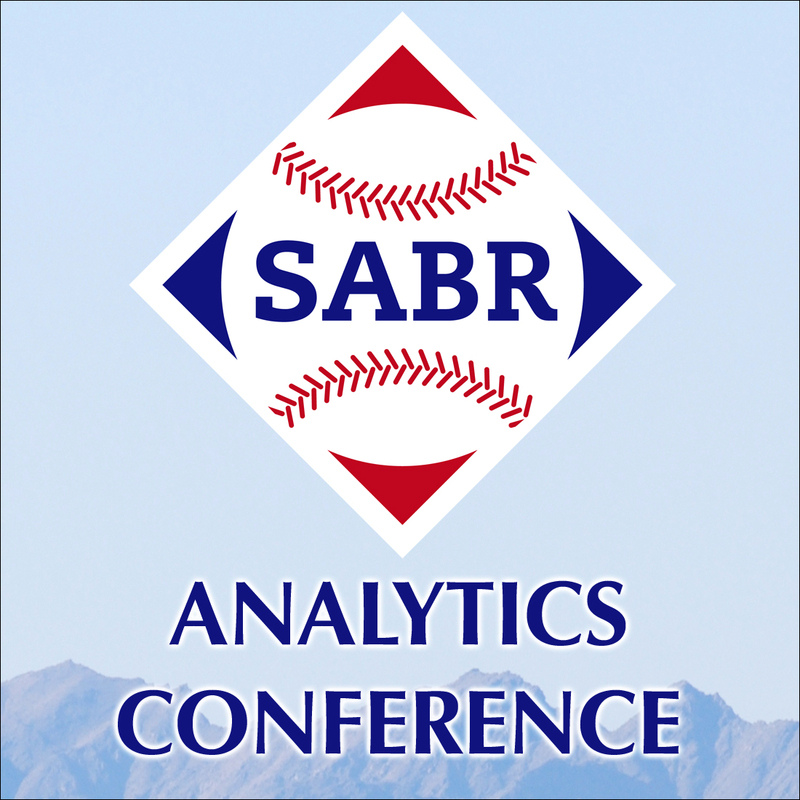 They, along with Dr. Mike Huber, have co-authored three books published by McFarland: Understanding Sabermetrics, Practicing Sabermetrics, and Reasoning with Sabermetrics. John resides in northern New Jersey with his BoSox-loving wife Mary and tries to get to Citi Field whenever possible with his Boston-area son, Ryan. It’s one of the rarest of baseball superlatives … only 16 players in the history of Major League Baseball have belted four round-trippers in a single game. In this presentation, we learn much more about each of those performances. Herlich reviews the player's game stats, of course. But he also fills out the full context in which the feat occurred. Inspired by Bill James’s Game Score analysis of starting pitchers, Herlich outlines the criteria he developed to assess the full value of a 4-HR game. Applying those criteria, he offers his selection of the player whose wondrous achievements ranks as the greatest of the great. Spoiler alert: the title of the poster is a hint. 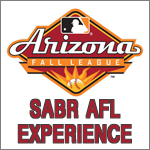 Tim Herlich <ltherlich@aol.com> has been a member of SABR since 1996. This is Tim's first poster presentation. He received the Doug Pappas Award for best oral presentation at SABR 39, and contributed a second oral presentation at SABR 43. Tim is a graduate of West Babylon High School and SUNY Geneseo, and resides with his wife Leslie in Seattle, Washington. As a manager, John McGraw was known for his authoritarian style and devotion to deadball strategies. He isn’t thought of as an innovator in the development of relief pitching, but Towers finds that some McGraw ideas could be small, early steps toward today’s approach. McGraw’s Giants were consistently near the top of the NL in what later became known as saves, and he was perhaps the first to employ highly talented pitchers (Doc Crandall, Hooks Wiltse) primarily as relievers. It's quite likely that McGraw used the tactic due to the nature of his pitching staff — HOF starters McGinnity, Mathewson, and Marquard ate up so many starts that high-quality hurlers would be wasted by taking only the occasional start. When they left the scene, so too did McGraw's innovation. Wayne M. Towers, Ph.D <mwctowers@yahoo.com>, is a retired college professor and works in the Education and Conservation Department at SeaWorld San Diego. Along the way, he worked as a data analyst at The Oklahoman and Times daily newspaper and for multiple business research firms. He is a schizophrenic fan of the Pittsburgh Pirates of his youth and the San Diego Padres of his son’s youth. His published work includes “World Series Coverage in the 1920s” (Journalism Monographs). Continuing his investigation of the breadth of a league’s player pool (which began with his 1999 book Baseball’s All-Time Best Hitters), Schell turns his attention to variation in what he terms the “SD Ratio”. This quantity compares the observed standard deviation of a statistical measure against the expected value if all hitters had equal talent. He traces SD Ratio in batting average and run average, over a lengthy time period, in four minor leagues … and then compares those leagues against the National and American Leagues. Schell’s biostatistical expertise helps us to make sense of his results. Michael Schell <mjfschell@icloud.com>, a biostatistician at the Moffitt Cancer Center in Tampa, has been a SABR member since 1998. He wrote Baseball’s All-Time Best Hitters (1999), which concluded that Tony Gwynn was the best hitter for average in MLB history, after statistically adjusting performance for era of play and park effects. In Baseball’s All-Time Best Sluggers (2005), Schell concluded that the top 5 for overall offense were: Babe Ruth, Ted Williams, Barry Bonds, Rogers Hornsby, and Lou Gehrig. Perhaps more surprisingly, Stan Musial and Honus Wagner were best at hitting doubles/triples. He was the winner of the 2002 SABR Poster Presentation Award. Evaluating performance over a ballplayer’s career is largely straightforward — for whatever measures you choose to study, you’ll have a large number of instances available for the analysis. It’s completely different in the postseason, however. One-time events, e.g. 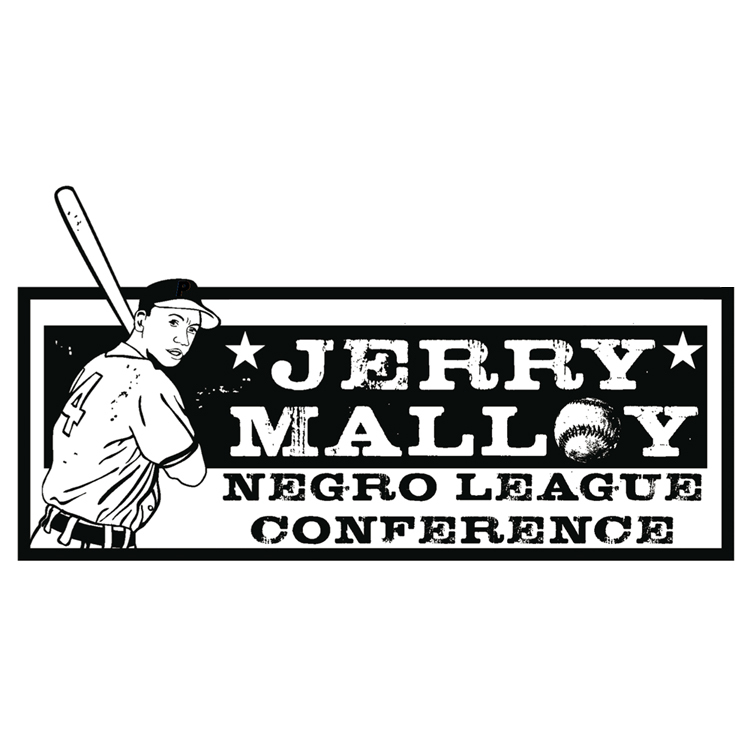 Mazeroski in 1960, carry heavy influence. Players may end up with vastly different numbers of opportunities. Taking these considerations, and numerous others, into account, Hanrahan uses the tools of visualizations, such as color contrasts and three-dimensional graphics to examine the performances of potential candidates for top postseason honors. Tom Hanrahan <han60man@aol.com> does mathy-like things for the U.S. Navy in southern Maryland for a living. He also does mathy-like things for pleasure. An apocryphal story exists that he was caught at age 4 reading the telephone book aloud, entranced by the numbers. From there he graduated to the weekly MLB leaders in the Sunday paper, to Strat-O-Matic baseball, to Bill James Abstracts, to Scoresheet simulations, to SABR. He also bleeds Jesus into many conversations. In spite of all of this, his wife loves him, and he appears to the unwary to be a normal human being, capable of conversation. Related link: Richard's poster was selected as the 2017 SABR Convention Poster Presentation Award winner. Click here to download a high-resolution JPG image of Macaluso's poster. As long as baseball has existed, there have been experiments and innovations in equipment. One of the principal places where these improvements have changed the game is in catchers’ equipment. Macaluso is particularly interested in the catcher’s mitt and how its development influenced what it takes to be a good catcher (and vice versa). This presentation gives us a look at what he has found in his 20-year quest. His research has taken him to the HOF library, but also to the US Patent Office, to century-old glove catalogues, to yard sales and online auctions, to talks with former MLB backstops, and even to the factory floor of a company that makes mitts. Richard Macaluso <richmacedh@msn.com> is a retired California Department of Transportation traffic engineer. He has been a member of SABR since 1995 and has researched and collected catcher’s mitts for 30 years. He recently completed a book titled From Buck to Pudge, The Evolution of Baseball’s Catcher’s Mitt, 1888-2015. He has had several catcher’s mitt exhibits in the Sacramento, California, area and currently has a 14-mitt catcher’s mitt display at the Yogi Berra Museum in Little Falls, New Jersey. P10: The Great Debate: Can W/L Records Be Predicted? What used to be a pleasant barroom diversion during the offseason — guessing how many games a team will win next year — has become big business. Fantasy experts, pundits, sabermetricians, and TV talking heads make (and publicize) such predictions to tout their empirical algorithms and artificial intelligence methods in publications, on websites, and in every type of media. If they’re going to be so serious about the predictive power of their work, it’s more than fair to see how well they’ve done. That’s the thrust of this poster — looking back at previous predictions to see just how good they were. Have predictions gotten better than they used to be? Are any of the predictive approaches particularly accurate? Allison R. Levin (MA, JD) <allison.levin@gmail.com> is a Professor of Sports Communications and Management at Webster University in St. Louis, Missouri. Her research builds upon an eclectic background in political science, economics, women’s studies, communications, and law. In recent years, she has focused on the effects of social media on pop culture, communications and sports. She has been invited to present her work at conferences both nationally and internationally. Her research on athlete’s use of social media appears in Casing Sport Communication (2016). Allison also consults with leagues, teams, and players using her research to help them navigate social media and analytics. We take this game seriously. We take the fortunes of our favorite team especially seriously. And if the other guy takes the fortunes of the team that’s playing ours just as seriously, things sometimes get out of hand. In a Brooklyn speakeasy during the 1931 World Series, things got really, really out of hand. The loser of the argument, in fact, ended up in the morgue. Clifford came upon this story while researching something else, and it piqued his curiosity so much that he followed it all the way to the original police reports and the coroner’s autopsy records. By the way, although it took place in Brooklyn, the fatal dispute didn’t involve the Dodgers; the combatants were arguing about the Cardinals and the A’s! Matthew M. Clifford <matthewmclifford@yahoo.com> is a freelance writer from the suburbs of Chicago, Illinois. He joined SABR in 2011 to enhance his research abilities and help preserve accurate facts of baseball history. His background in law enforcement and forensic investigative techniques aid him with historical research and data collection. He has reported several baseball card errors and inaccuracies of player history to SABR and the research department of the National Baseball Hall of Fame. Clifford provided oral presentations at SABR 43 (2013) and SABR 46 (2016). He is also a contributing writer to SABR's BioProject and SABR's Baseball Research Journal. It’s frightening that a club as overwhelmingly successful as the Yankees has often made huge mistakes in the free agent market. Anthony delves deeply into the seven years since the Yanks last lifted the WS trophy, assessing their worst (and best) contract decisions over that time period in the context of organizational culture. He also studies the other side of player development — the team's draft and farm system operations — looking for characteristics that have influenced them. Based on his research, he offers thoughts about what it will take to make the Bronx Bombers (even) more successful. Has Brian Cashman been listening to Sam Anthony? Sam Anthony <spast235@mail.rmu.edu> is a sophomore Sport Management student with a minor in Data Analytics at Robert Morris University. Aspiring for a career in baseball operations and scouting, Anthony has previously had his work published in SABR's Statistical Analysis Committee newsletter for his research regarding the effectiveness of pinch running. When most of us hear "Doubleday Field", we think of Cooperstown. And we recall that, in fact, Doubleday had nothing to do with the early development of baseball … that he may not even have been in his hometown in 1839. There is, however, another Doubleday Field, and it honors the man quite appropriately. That ballpark is at the US Military Academy. After all, Major General Doubleday (USMA, 1842) really did fire the first Union shots of the Civil War. Baseball at West Point dates from 1863, and this Doubleday Field has hosted over 80 MLB exhibition games since 1914. The Cadets' opponent in many of those games was a New York-based club. Huber probably knows more about Doubleday Field exhibition games than anyone else. His poster includes rare photos and first-hand accounts of some of those contests. Mike Huber <huber@muhlenberg.edu> is a retired Army officer who served as Head Officer Representative to the Army Baseball Team. He is fortunate to have attended a Yankees–USMA game at Doubleday Field, and he has collected first-hand accounts from participants in dozens of games, both from MLB and from the Army. The idea of scheduling a doubleheader as the entirety of a series sounds bizarre in 2017. Sure, you might have to play make-up games after rainouts, but to put that into the regular schedule? There were, however, reasonable explanations for the practice in the days of short train trips between MLB cities as well as blue laws precluding Sunday games in some cities. Yet the practice continued into the mid-1960s, by which time the majority of teams traveled by air. In this extension of Chris Jaffe's exhaustive study of doubleheaders in general, Kanter offers potential explanations behind the continuation of this phenomenon after MLB went west. Mark Kanter <stratomark@hotmail.com> grew up in Bristol, Pennsylvania, where he became a life-long Philadelphia Phillies fan. He got the itch while watching the last few outs of Jim Bunning's perfect game on Father's Day in 1964. He has written several articles for SABR's Baseball Research Journal and was the editor for Boston SABR 2002 convention journal. He has written three articles for the Baseball Research Journal over the years. He has written two biographies, one of Tony Horton and the other of Marty Barrett. He has made a number of presentations at the SABR Convention dating back to 1987. He has won a number of national SABR Trivia Contests since 1997. He and his wife, Lynne, who is also a great baseball fan in her own right, live in the idyllic seaside community of Portsmouth, Rhode Island. P15: Why Were the Dodgers in Jersey City? On its surface, that the Brooklyn Dodgers played 14 of their home games during 1956 and 1957 seems quite odd. Really, Jersey City? Then again, Walter O'Malley's business shenanigans in general were quite unsettling between the breakup of the team location logjam starting in 1953 and the Dodgers' own move after the 1957 season. Burbridge and Harris take us back to the mid-1950s to help us make sense (if that's possible) of Brooklyn in Roosevelt Stadium. Was it part of a carefully planned grand scheme? If so, who were his partners and, perhaps more importantly, who wasn't in cahoots with O'Malley? Dr. John J. Burbridge Jr. <burbridg@elon.edu> is currently Professor Emeritus at Elon University where he was both a dean and professor. While at Elon he introduced and taught Baseball and Statistics. A native of Jersey City, he authored "The Brooklyn Dodgers in Jersey City" which appeared in the Baseball Research Journal. 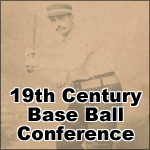 John has also presented at SABR Conventions and the Seymour Medal Conference. He is a lifelong New York Giants baseball fan (he does acknowledge they moved to San Francisco). The greatest Giants-Dodgers game he attended was a 1-0 Giants’ victory in Jersey City in 1956. Yes, the Dodgers did play in Jersey City in 1956 and 1957. John R. Harris <harrisfoto@gmail.com> is a writer, photographer and the Senior Producer of the B&H Photography Podcast. In addition to writing on baseball history, he has written extensively on photography and camera technology. His photographs have appeared in the New York Times and have been exhibited at the International Center of Photography, Museum of Modern Art and Victoria & Albert Museum. A book of his documentary photographs, Garzon, was published in 2011. A lifelong Indians fan, he had a short stint with the baseball team of his alma mater, Fordham University. John can also be reached on Instagram @jrockfoto. Ballparks are places to watch baseball games, but different design choices can result in different sorts of experiences for game attendees. In this poster, we observe some of the characteristics of Yogi Berra Stadium, a minor-league ballpark in Little Falls, New Jersey. Everyone from players to families to attentive fans to disabled attendees can draw upon some aspect of the ballpark to mold their personal involvement in the event taking place there. Freeman demonstrates how design influences social interaction in the setting of a baseball game. Lewis Freeman <lefreeman@fordham.edu> (Ph.D., Columbia), Fordham University Department of Communication and Media Studies. Baseball has always been a part of Lewis’s life, as his well-worn baseball cards confirm. He grew up a Phillies fan and now also roots for the minor league New Jersey Jackals (Can-Am League). His achievements include: Urban Communication Foundation research prize; Neil Postman Mentor Award (NYS Communication Association), Time Warner Cable research grant, 2 Tellys, Sitcom Society: Social Stratification and Social Mobility in Situation Comedy (2008), and “Symbolic Interactionism: Yogi Berra Stadium and the Minor League Ballpark Experience” in Communication and the Baseball Stadium (Peter Lang, 2017).